Birralee Kindergarten invites you to an evening cruising the fabulous Gladstone Harbour. 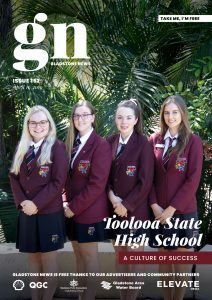 The kindergarten’s major fundraiser for the year sets sail on Saturday 3rd November 2018 at 6 pm (loading at 5.45pm) from the Gladstone Yacht Club. The evening will showcase the beauty of twilight on Gladstone Harbour with a soundtrack provided by talented musician Jayd McKenzie. The event will be catered by Savour the Flavour who will serve canapes style food. There will be a range of raffles and prize draws with many prizes to be won. Tickets are $65 which includes a free beer or wine to enjoy on arrival, the canape style meal and 3 hours of cruising on board the Curtis Endeavour II with Curtis Ferry Services. 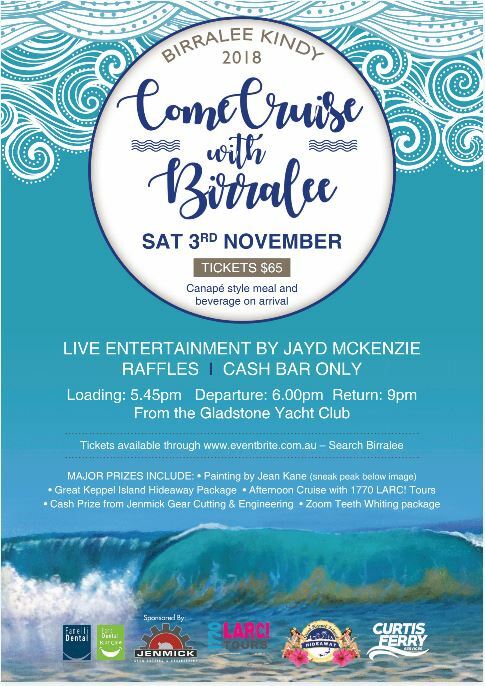 Book a babysitter, grab your tickets and find your sea legs, get ready to join the Birralee Kindergarten community for a fantastic night out! Book your tickets fast as they may not last long.